The challenges faced by rural healthcare organizations today — Critical Access Hospitals in particular — are truly daunting. Many never fully recovered from the economic downturn and most continue to experience provider shortages while caring for an increasingly older and more chronically ill population. The entire rural healthcare business model was financially precarious before reimbursement reform created additional challenges. Low patient volumes and high fixed costs make them especially vulnerable to market changes; and their remote locations make hiring and retention difficult — not just for providers and other healthcare professionals, but for IT and administrative staff as well. Out of these challenges, however, comes opportunity. What if these organizations could find a partner who could offer expert health IT services — hosting and consulting? Someone who could help them dramatically lower the cost of ownership of an EHR while simultaneously meeting the challenges of MACRA and other regulatory hurdles? At Parkview, we believe that urban and suburban healthcare organizations can create win-win partnerships with Critical Access Hospitals, providing much-needed IT support and leadership to our rural counterparts, who have much to give in return. These organizations can help us deepen and broaden our patient communities, expanding our catchment area and referral region and building the foundation for a strong population health program. After all, we often share patients who visit us from their rural communities to see our specialists. We can better serve our combined patient populations when we know about the care they’re receiving in their own communities before they visit us. Similarly, the services they receive in our facilities should inform medical decisions when they return home. It’s important to acknowledge that rural healthcare providers have expertise we don’t. Many rural organizations are doing pioneering work in chronic disease management due to the prevalence of these conditions in their populations. Unlike urban organizations, who have populations in the millions, our rural counterparts can directly impact a larger percentage of their populations. They often know their patients better than we do, and they’re skilled at helping them overcome social barriers that prevent them from getting the care they need. They also know the ins and outs of rural healthcare delivery -- particularly Critical Access Hospitals, which have a unique set of rules and regulations. Larger tertiary facilities must recognize and respect the special expertise their rural counterparts bring to the partnership. Rural health partnerships can run the gamut, from loose affiliations at one end, to mergers and acquisitions at the other. At Parkview, we’ve adopted a partnership model that includes data and resource sharing options up through complete EHR hosting and IT services. In the latter category, we developed a hosting agreement with Spanish Peaks Regional Health Center, a Community Access Hospital in Walsenburg, Colorado, roughly 50 miles from Pueblo. By extending our MEDITECH EHR to providers and staff at Spanish Peaks, we’re providing much-needed technology and technical support without absorbing complete financial responsibility. And because it’s a partnership and not an acquisition, it allows Spanish Peaks to retain their independence and focus on delivering exceptional, personalized care, while we focus on delivering our IT expertise. They lower their EHR cost of ownership and reduce care delivery costs while at the same time improving safety and quality. That’s a pretty powerful combination. We’ve also formed partnerships with several other Critical Access Hospitals. Last year, we entered into an exciting new alliance called the BridgeCare Health Network, which connects all the Critical Access Hospitals in our region. This new partnership links residents in communities spanning more than 20,000 square miles in Southeastern Colorado to high quality health care. The five founding members of this partnership include Parkview, along with San Rafael Hospital (Trinidad, Colorado), Prowers Medical Center (Lamar, Colorado), Southeast Colorado Hospital District (Springfield, Colorado), and Spanish Peaks Regional Health Center (Walsenburg, Colorado). Quality - We will identify new quality protocols and processes that can be streamlined through the collaboration of our physicians. In doing so, we will work to develop best practices across partner members that enhance patient care. Patient Retention - We will use data on patients seeking care outside of the region to develop strategies to retain those patients through community and hospital education. We will also work to identify opportunities for new hospitals to join the partnership while retaining existing members. Data Access - We will work to standardize data collection and eliminate isolated information systems to promote interoperable systems with a long-term aim to integrate medical records. Just a year later, we’re already seeing a number of benefits, from the ability to share data, to streamlining the admission process for rural patients who need advanced care at a larger hospital, to more timely ER transfers and related admissions. These are direct patient benefits that go beyond the administrative and operational efficiencies our partner organizations are experiencing. Whether you plan to form a partnership like our BridgeCare Health Network, extend your EHR to a CAH and host their data (like we have for Spanish Peaks), or formally acquire a CAH, you can learn from our experience. Communication - Open and effective communication is the foundation for success, and the burden is on the larger hospital partners to set the tone. For BridgeCare, we have three dedicated members of our staff who serve on the network’s board. For our Spanish Peaks hosting partnership, we hired and assigned a dedicated liaison. This person was the primary contact for the hospital and the driver of the project during their implementation. 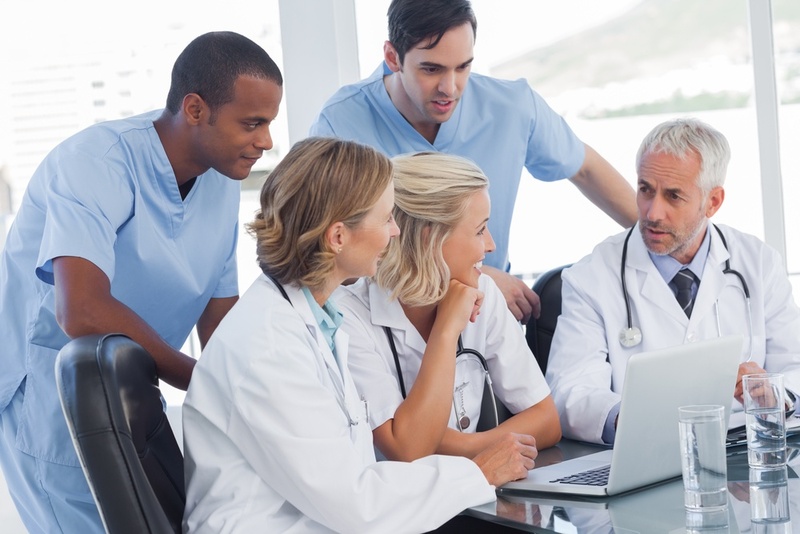 Beyond the experience and skills necessary for building the EHR, which are considerable, the liaison must have the charisma and personality to drive change (and manage the stress and conflict it inevitably creates). Culture - Culture can be another challenge. CAHs can have a very different work culture than their larger urban partners. During our initial work with Spanish Peaks, we made sure that our teams aligned from a work culture perspective in order to maximize our efforts. We learned that paying attention to cultural differences is vital to the success of not only the project, but the entire partnership. Resources - Partnerships require significant resources, at the business, technical and executive levels. Our BridgeCare partnership took more than two years of planning. Full EHR and data hosting relationships can take even longer. When we implemented our EHR at Parkview, we used 150 people for 10 months to build, test, and train on the system. At Spanish Peaks, our first CAH partner, we had 10 people to build, test and train staff, on top of their regular duties. I can’t emphasize enough that the hosting hospital must provide ample support to ensure that each portion of the system is built correctly. Partnering with Critical Access Hospitals isn’t easy. There’s inevitably a steep learning curve for both parties in the relationship. Larger healthcare organizations can’t simply focus on the benefits to them, like the opportunity to expand their referral regions or strengthen patient loyalty. They need to consider how they can provide real benefits to their CAH partners. If they’ll be offering IT services and data hosting, they’ll need to work closely with their CAH partners to determine how best to tailor the EHR to their environment, while keeping it simple and easy to support, particularly if they’re considering hosting multiple facilities. At this point we’re quite happy with the affiliation model we have with three CAH partners, and our hosting relationship with one. If we choose to extend our EHR and IT services to additional CAHs, we’ve identified the challenges and pitfalls we’ll need to overcome doing it again. Regardless what form of partnership you may be considering, we encourage you to move forward while keeping your focus on how you can improve care for your patients. Learn how MEDITECH is leading the way with interoperability. Jim Hruby is the Director Information Technology at Parkview Medical Center in Pueblo, Colorado, a standalone 350-bed community hospital serving Southeastern Colorado. A graduate of the Colorado School of Mines with a degree in Geophysical Engineering, Jim is a certified Lean Six Sigma Blackbelt and certified Project Management Professional (PMP). Before joining the healthcare industry, he managed technically complex projects for organizations like Schlumberger, Unisys, Quantum, Oracle, HP, and Trane.